Joe from Staten Island calls the show with his weekly hair loss update and to talk about how hair loss has stolen his youth. Andrew Zarian also touched base with the guys to discus an incident that occurred during dinner with Spencer and Andrew’s wife Jess, and Mike from Miami checks in to talk about a girlfriend of his who’s dealing with female pattern hair loss. Spencer also addresses an issue he’s having with a long time TBT fan who apparently crossed the line from fan to stalker. 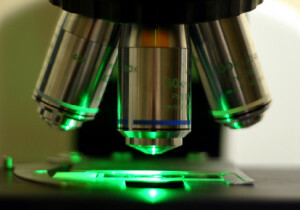 This week on The Bald Truth: Mark from New Jersey asks whether or not he should try Propecia again after getting bad pills from a third party. Lou from New York wonders if he should switch to name brand Proscar from generic. Joe from Staten Island has trouble calling in due to a bad storm. He gives the latest news about Adipose. He also comes up with a prognosis for Johnny from Ohio. Andrew Zarian from the GFQ Network Skypes in to report to Spencer how well the first episode of The Bald Truth has done in podcast form. 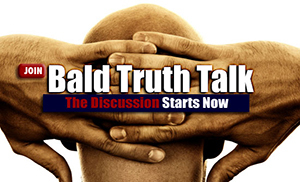 This week on The Bald Truth: Joe from Staten Island tells the TBT crew that they’re his only friends and admits that he’s not sure that having a sick kid would be worse than dealing with hair loss. UrlWallace from the IRC chat called the show to ask about his scalp Psoriasis, and George from Mobile checked in from an undisclosed location for his TBT update and probably to talk about being a former model.